Compressed air distribution is essential to energy transfer for a wide variety of industrial processes, mechanics, and as power for various tools. A properly designed and built compressed air distribution system is key to keeping everything running smoothly. How Prevalent Are Compressed Air Systems? So prevalent that about 70% of all manufacturers use such a system. It can be used to move vehicles, to operate mechanics, atomize paint, drive air hammers and drills, for HVAC control systems, for energy storage, and for pneumatics. It is so useful that some industries refer to it as the fourth utility, on par with water, electricity, and natural gas as a necessity for work to continue. 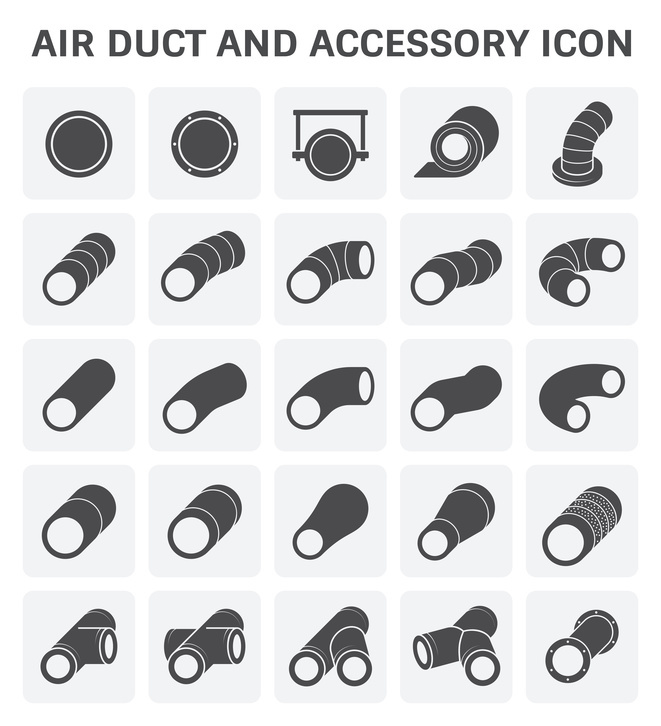 How Important is it to Have a Well-Designed Compressed Air Distribution System? Recent audits by the U.S. Department of Energy show that as many as 50% of compressed air distribution systems at medium and small facilities could be optimized to save energy. The right compressed air piping layout allows a facility to make the best use of space while optimizing energy. Between 80% and 90% of the air compressor’s electrical energy is converted to heat, and a good heat recovery unit is capable of recovering as 50% to 90% of that and using it to heat air or water. What Happens When the Compressed Air System Design is Poor? A bad design or poor quality piping can result in poor performance. A system designed well should see less than 10% loss of discharge pressure as read by the outlet gauge. A good system should also have an air receiver tank to act as a buffer for sudden changes in demand and keep the compressor from cycling on and off too frequently. A 50 horsepower compressor would need a 50-gallon air receiver tank. Why is Maintenance of a Compressed Air Distribution System Important? A lot of problems can be caused by something as simple as a leak. Even a 1/8th-inch hole can cost $1,200 a year in energy waste for a system running at 100psi. Getting regular maintenance and the advice of professionals can highlight possible issues, as well. For example, if a system has more than 10% pressure loss, it needs to be evaluated to see what’s causing excessive drops in pressure. Inspection can also find out if there is artificial demand, which is when the end use of the compressed air distribution is getting more than pressure than it actually needs. Pressure regulators can minimize this artificial demand and save energy costs. Air compressor tubing and piping layout need to be just right to ensure the most cost-effective and efficient system for the given space and application. Find manufacturers who can supply you with flexible tubing and the best quality piping to keep your system working efficiently for the long haul.